Free Shipping Included! 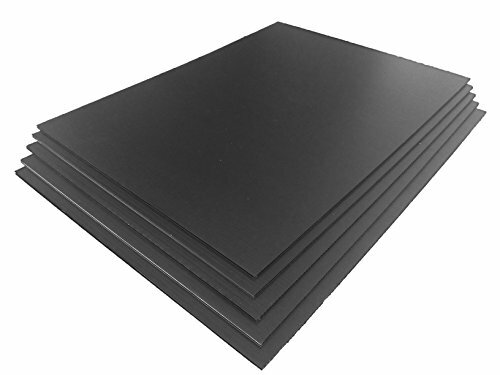 TSM Coroplast Correx Poster Corrugated Plastics Sheets Sign Blank Board (24''x18''x4mm., 5-pack/blacks) by TSM at Enria Industries. MPN: TSM 006. Hurry! Limited time offer. Offer valid only while supplies last. Are resistant to moisture and water.Do not react to chemicals and acid. !!! Important, Avoid getting counterfeit items from other seller. Please check if not have a logo on the packaging same as 2nd figure. We usually received complaint from Previous buyers in topic wrong quantity,dimension,color and quality, If your packaging not have a logo please contact amazon customer service. If you have any questions about this product by TSM, contact us by completing and submitting the form below. If you are looking for a specif part number, please include it with your message.